Open the app, tap "Enroll Here"
Enter your account number, the primary account holder's social security number and last name. Tap "Enroll." An enrollment code will be sent to the account holder's email. Retrieve this code from your email and enter it in the original web browser you were using to enroll. Enter a new username, password, and confirm your password. Tap "Register." Return to the CMCU app. Enter your username and password you just created to sign on. Our convenient mobile deposit feature is now trending! 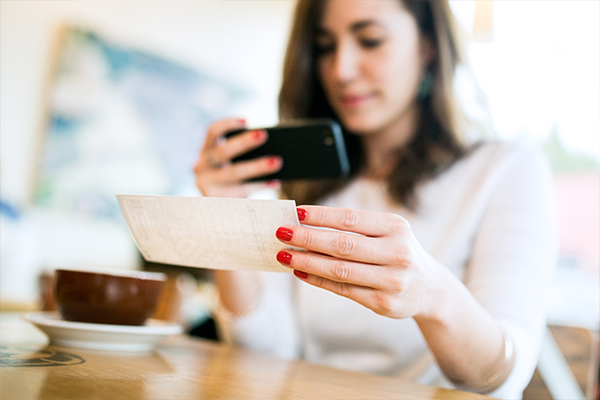 Use your smartphone to quickly deposit checks and get instant access to your funds using our mobile app for your iPhone, iPad or Android device. *Active mobile banking users who meet account eligibility requirements have been pre-approved.